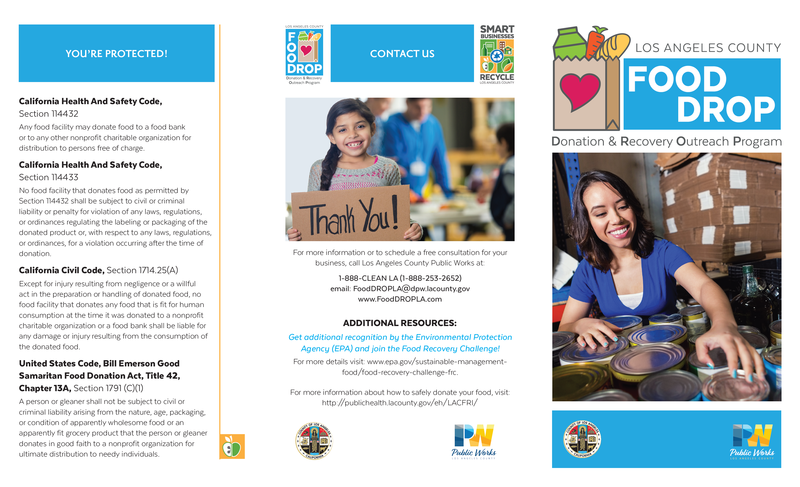 Mission: To provide resources for businesses operating in the County Unincorporated Communities so that they may (1) safely donate their excess edible food to fight hunger, and (2) reduce food waste in Los Angeles County. 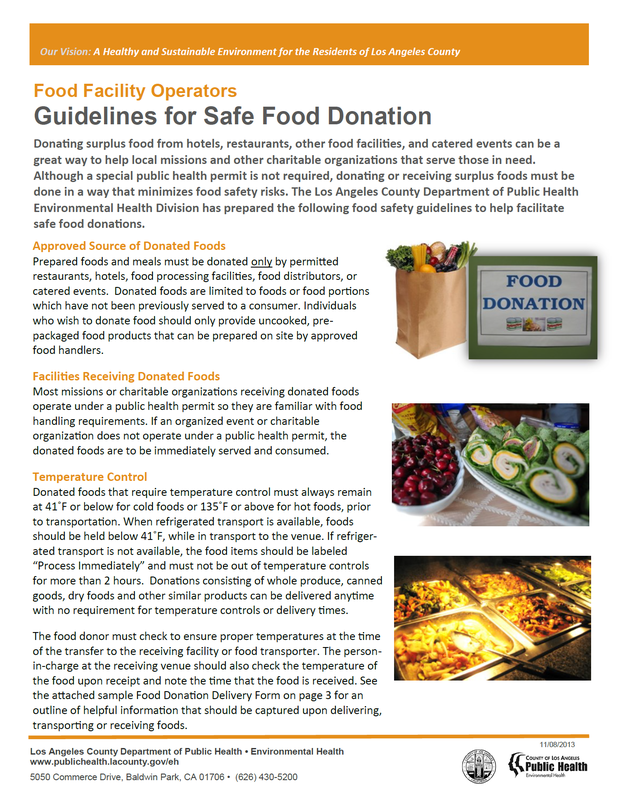 Vision: All food service businesses operating in the Los Angeles County Unincorporated Communities safely donate their excess edible food to feed people in need in Los Angeles County. Be a part of the solution and donate your surplus edible food. Request a consultation! Be a non-profit partner in our Food DROP program. Sign up!. 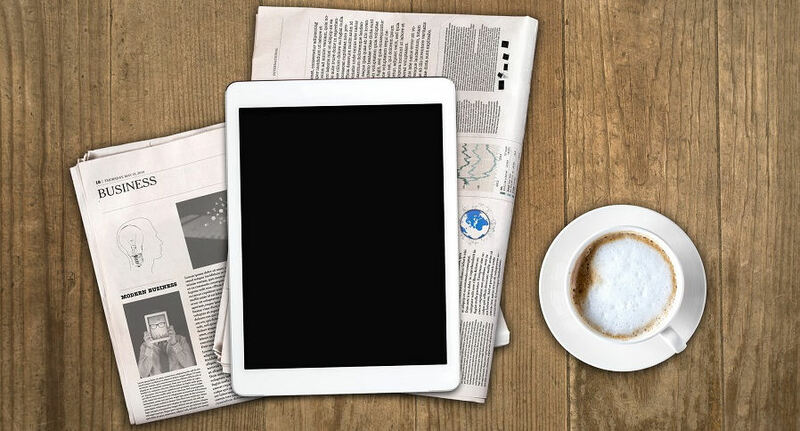 Get the latest news about Food DROP and the Smart Business Recycling Program by signing up for our quarterly newsletter! Each year, the Los Angeles County Unincorporated Communities toss 128,000 tons of food into the trash. Meanwhile, approximately 1 in 7 individuals are food insecure (lacking regular access to quality nutritious meals). Working with other County departments, the Department of Public Works has partnered up with local charities to offer businesses a food donation option through Food DROP. 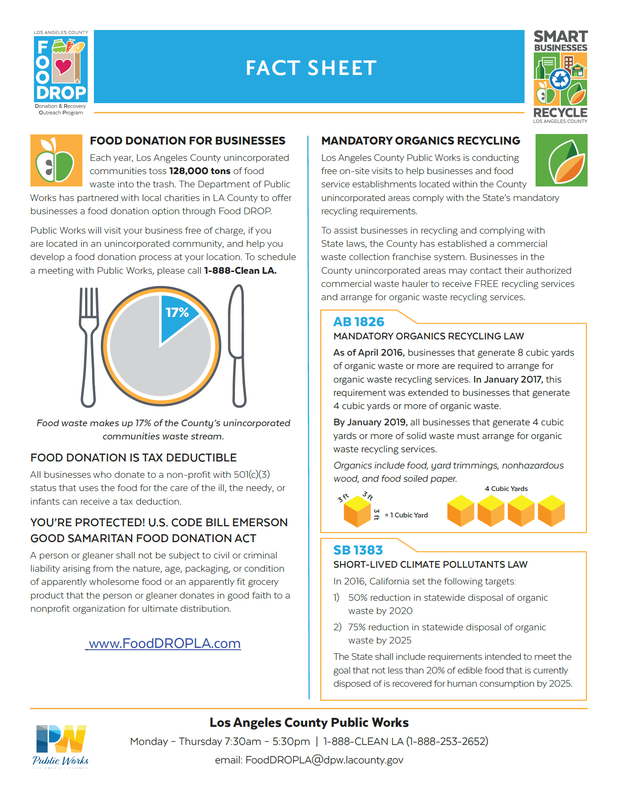 Under AB 1826, businesses that generate specified amounts of organic waste are required to arrange for organic waste recycling services and/or donate their excess edible food. Under SB 1383, the State set the goal that not less than 20 percent of edible food that is currently disposed of is recovered for human consumption by 2025. All businesses that donate food to a 501(c)(3) for the care of the ill, the needy, or infants can receive an enhanced tax deduction. Explore our tools below to learn about (a) state legislation regarding organic waste diversion and food donation; (b) Los Angeles County Department of Public Health’s food safety guidelines; (c) find an interactive map of our food recovery partners; (d) refer to our Food DROP brochure for a quick overview of our program; and (e) download and use our tracking form to record all of your business’ food donations. A person, gleaner, or food facility may donate food to a food bank or to any other nonprofit charitable organization for distribution to persons free of charge. Food facilities may donate food directly to end recipients for consumption. No food facility that donates food as permitted by Section 114432 shall be subject to civil or criminal liability or penalty for violation of any laws, regulations, or ordinances regulating the labeling or packaging of the donated product or, with respect to any laws, regulations, or ordinances, for a violation occurring after the time of donation. Except for injury resulting from gross negligence or intentional misconduct in the preparation or handling of donated food, no person, gleaner, or food facility that donates food that is fit for human consumption at the time it was donated to a nonprofit charitable organization or food bank shall be liable for any damage or injury resulting from the consumption of the donated food. 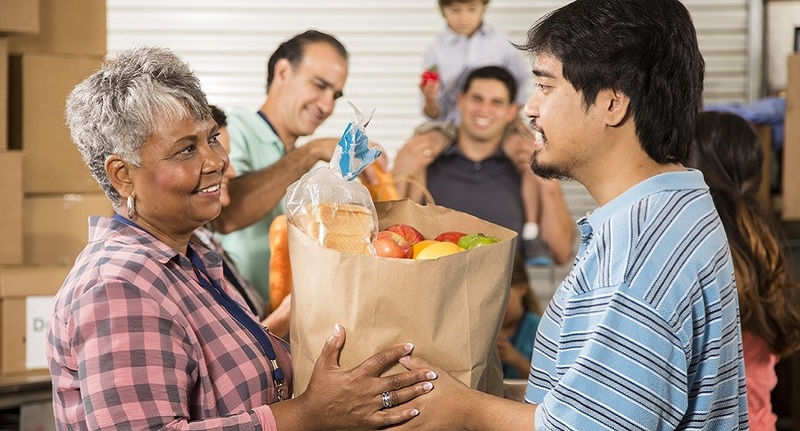 Food facilities may donate food directly to end recipients for consumption. 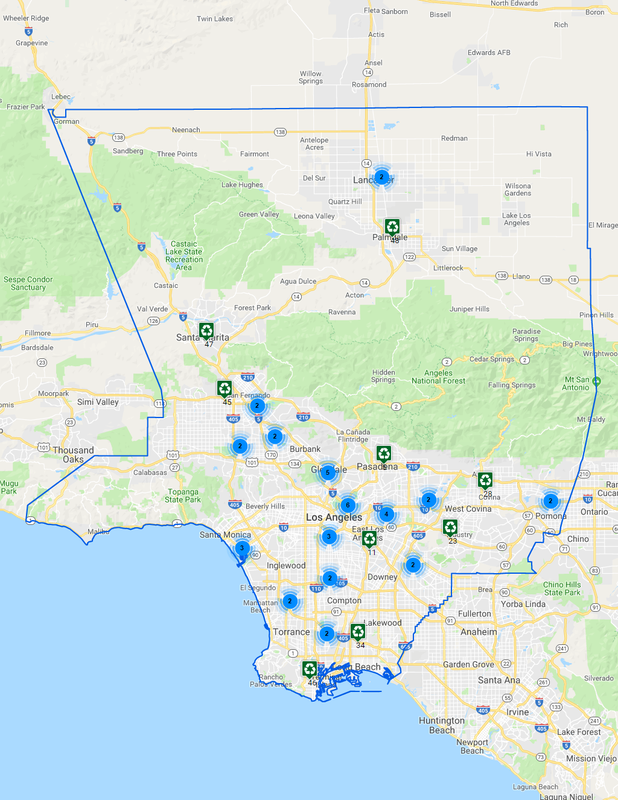 Use our Find a Recycler tool to find a food recovery and/or redistribution organization near you! 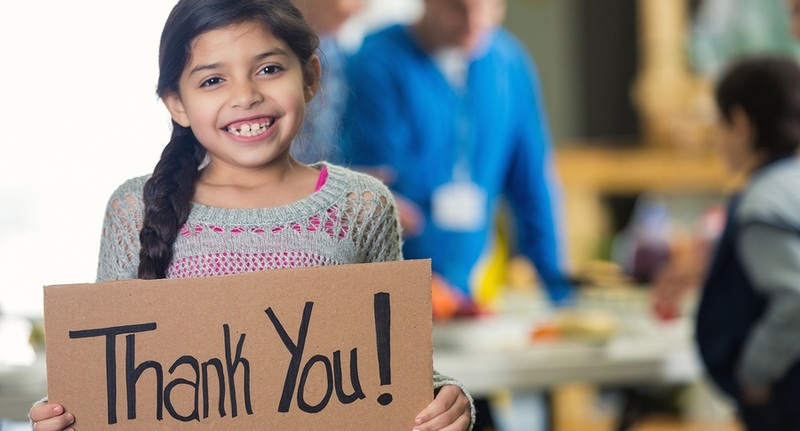 Check out our Food Donation Toolkit. It will help you track your food donations and your inventory! You can also request a consultation from us to help you set up a safe food donation process at your location. 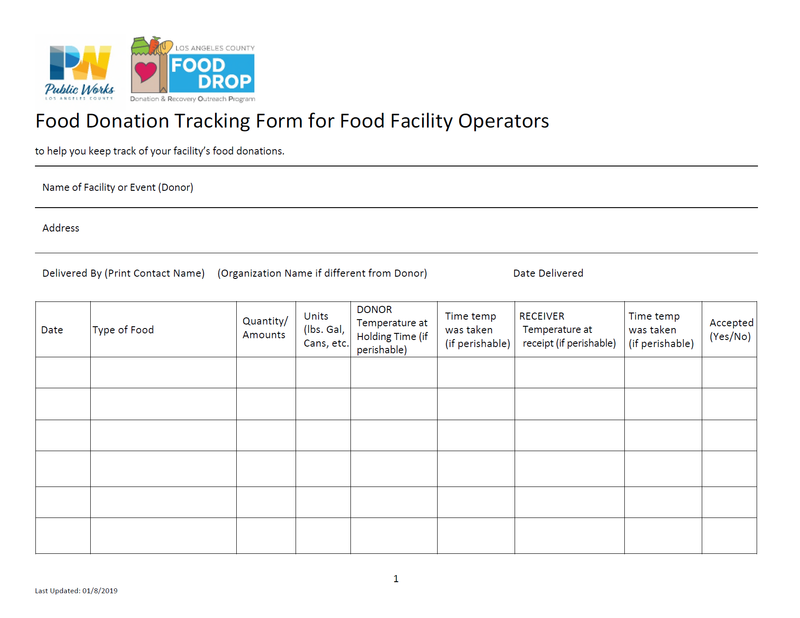 Download our Food Donation Tracking Form to help you track your food donations and review your inventory. 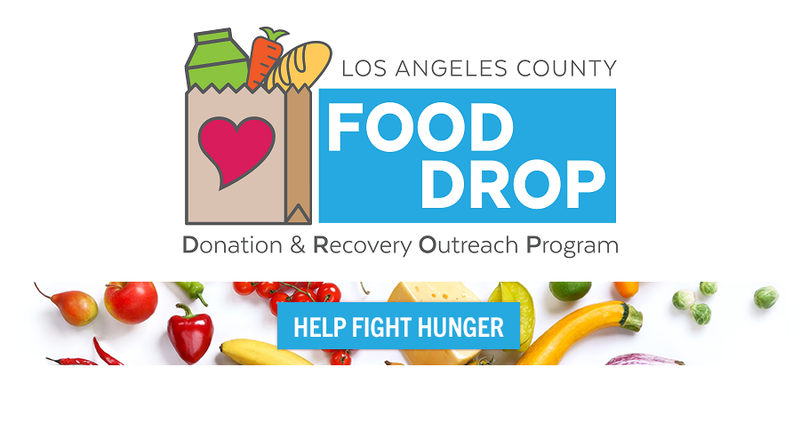 Thank you for being a Los Angeles County Food DROP partner. Use our Received Food Donation Tracking Form to keep track of the food donations you receive. By the end of each month, please upload a copy of this completed form here.